Many bloggers have been asking questions concerning free web hosting. Are you a beginner think of which web.hosting to start with (for practicing). Here I have full review of best free web hosting companies of 2017. These web hosting companies offers their platform hosting services for free. The following are review of their services. 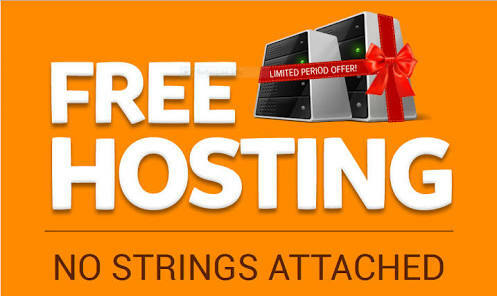 5GBfree offers free web hosting space of 5 gigabyte, as it name suggests. The company, which moved to a leading data-center based in the U.S. not long ago, makes use of CloudLinux OS.Focusing on innovative technology and internet security, 5GBfree offers free web hosting space of 5 gigabyte, as it name suggests. Freehosting provides the largest bandwidth of 250 gigabyte to users every month. Freehosting.com is among the few providers that encourage, in an active manner. Signing up with them offers you great opportunity to enjoy their services. 000webhost is one of the free web hosting platforms that offer 1.5gb space. MySQL and PHP databases are supported. Note that they are many free web hosting companies, but the companies listed above offers best web hosting services. Anyone thinking of taking blogging as your career or source of income. Should not think any of using any of the free webhosting companies. Free web hosting companies don't encourage monetize of once blog. Help the article is of help. Please share.